Quite possibly the real deal snakeskin. These are absolutely perfect and I cannot wait to wear them! 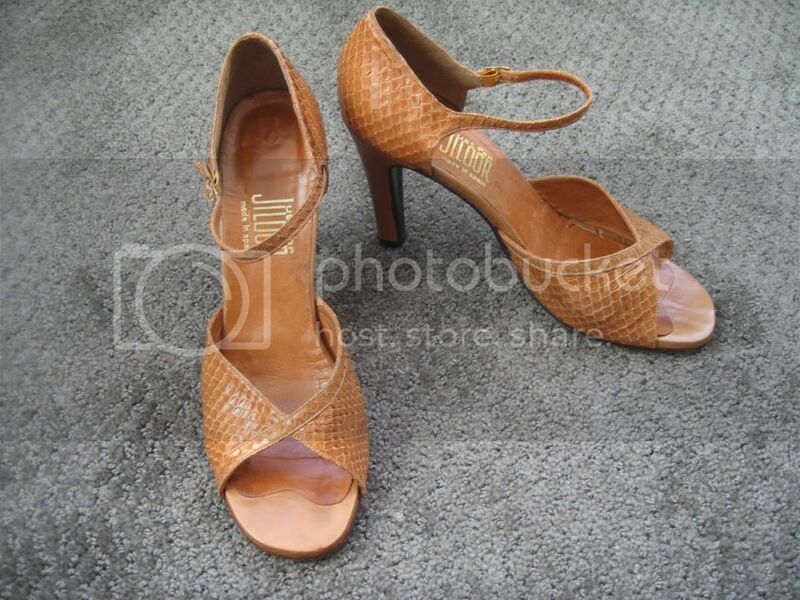 Stuart Weitzman for Bloomingdale's multi-color peep-toe slingbacks. 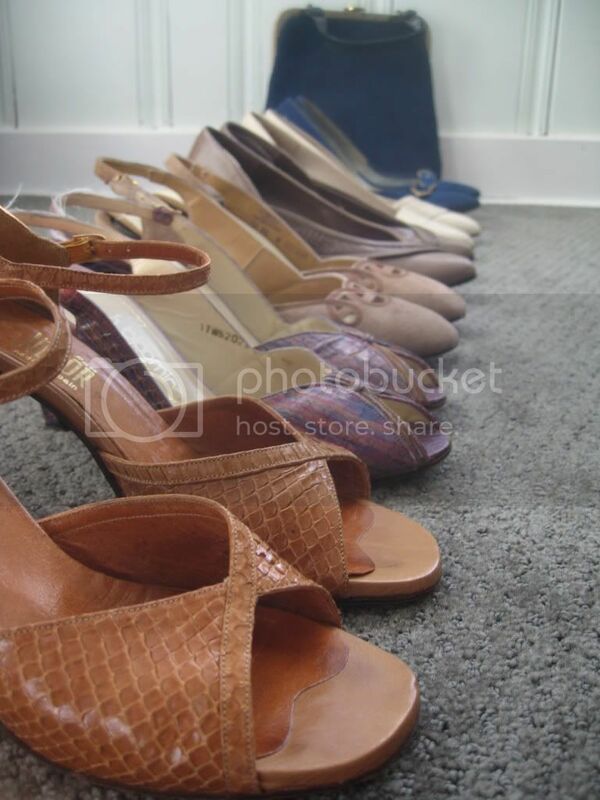 These are great spring shoes. They need a little love, including an extra hole in the strap in order to make them stay on my foot, but I have the winter to bring them up to speed! 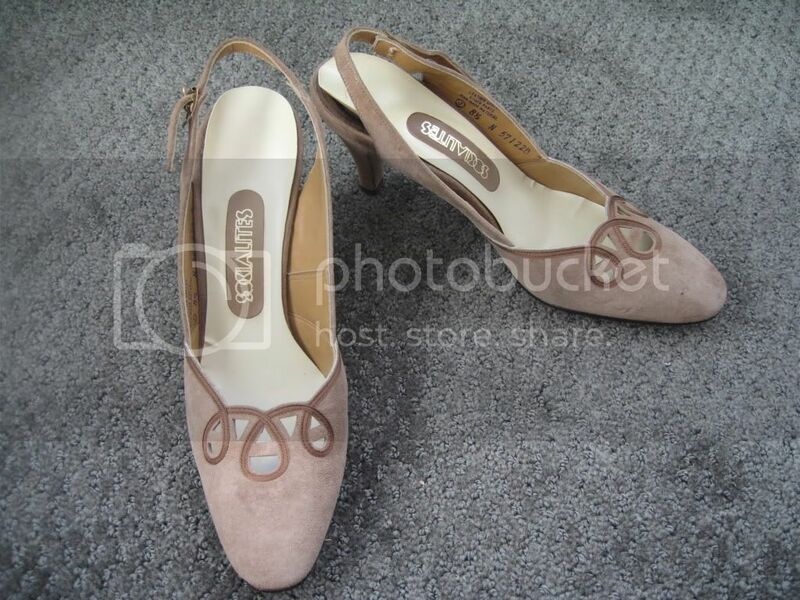 Fall-appropriate suede slingbacks. Perfect for my new business casual daytime attire. 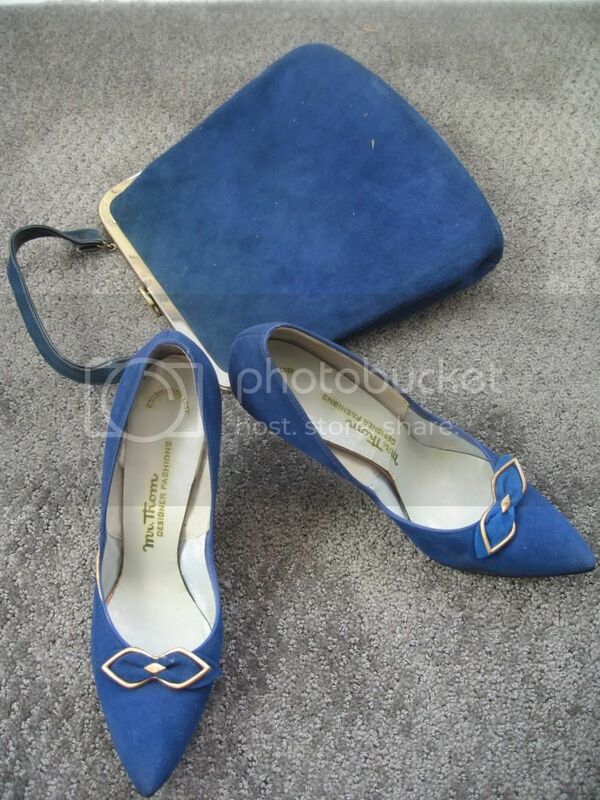 And, the icing on the cake: royal blue and gold pumps with matching handbag. These both need a cleaning and some love, but I think they can easily be restored to almost mint. 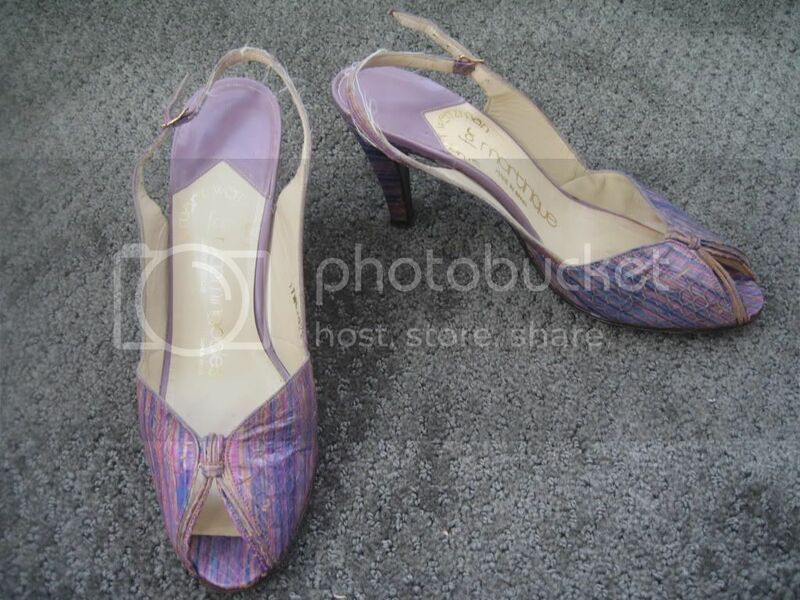 I adore this set, and my friend S. I am so honored to pay tribute to her stylish grandma, one shoe at a time.